The cold of the Karoo winter is upon us. We expect the chill but also the warm sun. Hopefully some rain and maybe some snow in the Swartberg Mountains. It is always crisp and many of the colourful aloes flower mid winter. It is a time for locals to travel plus overseas visitors exploring new territory. Many festivals happen in the Karoo during the months May – September. In our town we have the Indie Karoo Film Festival. African Relish will be the meeting place and food hub from 1 – 3 July. Scheduled guest chefs and artisans will be visiting our kitchen in August to conduct cooking courses: Neil Jewell, celebrated charcutier will be holding his first weekend masterclass with African Relish 5 – 7 August. This first course is fully booked but we have another planned already. 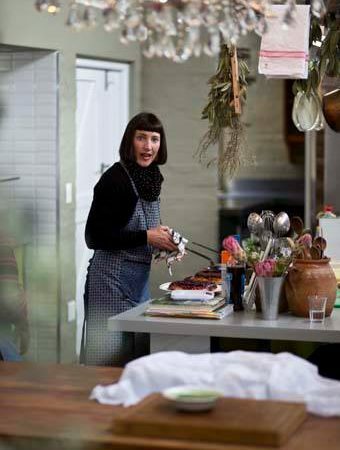 End August 26 – 28 is a fun filled weekend planned with Nina Timm well known food blogger “My Easy Cooking” and food photographer. Good news indeed is that Sunday 12th June was the first outing in the new home of Camilla’s Kitchen at African Relish. Camilla Comins, Russell Wasserfall and their daughter Amelia have relocated to Prince Albert and we are honoured to have them open their Prince Albert restaurant with us. They previously ran the Overgaauw restaurant in Stellenbosch and The Table at De Meye. The Sunday lunch will evolve into a more regular schedule in the future and we look forward to the huge value that they will add to Prince Albert and its growing foodie culture. Be OUTrageous and come visit us at African Relish this winter and spend time in the kitchen. Chef Jaco is running his usual cooking classes, pick a date to suit your schedule and plan your next celebration with us. The Nina Timm course costs R4250 pp and includes the weekend cooking course, 2 nights sharing accommodation, all meals, listed excursions, special African Relish apron and recipe booklet. Let me know if you would like me to secure your space.